Devloped and created by the company. 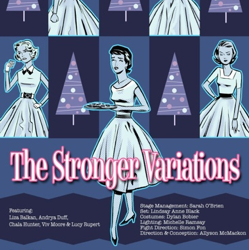 What happens when a woman decides to meet her husband’s mistress on Christmas Eve? This is the question that playwright August Strindberg asked in his 1889 play The Stronger and that award-winning physical theatre company Theatre Rusticle revisits in their original work The Stronger Variations.